Luka Bloom werd onlangs vijftig. Muziek op zondag maakt de balans op van een halve eeuw Bloom. 'My name is Luka', een persoonlijke documentaire over de populaire Ierse singer-songwriter. We gaan terug naar zijn roots en bezoeken mensen en plekken die zijn leven, en de hedendaagse Ierse muziek in het algemeen, hebben gevormd. 'My Name Is Luka' toont Luka Bloom, de mensen die hem dierbaar zijn en de rijke natuur en cultuur van Ierland. Hij mijmert over het verleden, het heden en de toekomst. We oren hem zingen, en uitleggen waarover zijn songs gaan, want een lied zonder betekenis is voor hem geen lied. Een hartverwarmende reportage, de soundtrack van zijn leven? Luka walking on a beach in Ireland and singing 'Be Still Now'. 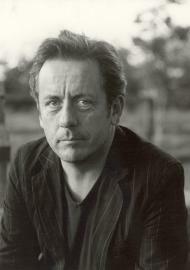 The Irish singer-songwriter Luka Bloom has seen Abraham this year. Helmut Boeijen (director), Tim Klok (camera/editing) and Menno van den Berg (sound) are making an overview of fifty years Luka Bloom through an intimite portrait, working title 'My name is Luka'. In this personal documentary the younger brother of Christy Moore - the most popular living Irish artist - traces his own roots and visits the people and places that have formed his own life in particular and contemporary Irish music in general. This documentary can be seen as a sequal (and counterpart) of 'It's just a band', the documentary Boeijen, Klok and van den Berg made of the Irish guitarband The Frames and was broadcasted twice by the VPRO-program 'Vrije geluiden' (free sounds) on Netherlands 3. While that band is situated in the capital Dublin, Luka Bloom is clearly a representative of the Irish countryside. 'My name is Luka' shows him in the overwhelming nature and culture well known in Ireland. Amidst the people that are precious to him. 'De Bende van Wim' (Wim's Gang) are Wim Opbrouck (actor), Michiel Hendryckx (photographer) and Jean Blaute (musician) from Belgium. In summer 2005 they were travelling through Europe on their motorbikes: from Scotland, Ireland, Galicia, Portugal to the Bretagne. In Ireland they visited Luka Bloom at his home in County Kildare. He sang for them 'June' and 'Sunny Sailor Boy'. De Bende heeft een afspraak met één van hun levende idolen: de Ierse singer-songwriter Luka Bloom. Samen zingen ze Sunny Sailor Boy. The Gang has an appointment with one of their living idols: the Irish singer-songwriter Luka Bloom. Together they sing Sunny Sailor Boy. A documentary celebrating the life and work of Thomas Moore. Featuring original new settings by musicians and singers including Christy Moore, Luka Bloom, Eimear Quinn, Michael McGlynn, Steve Cooney, Laoise Kelly, and Iarla Ó Lionárd, and unexpected archive recordings by artists like Nina Simone and Joe Strummer of the Clash. One Faithful Harp is a long overdue reassessment of Thomas Moore's life and work. With contributors like Seamus Heaney, Prof. Kevin Whelan, Fintan O'Toole, Nicholas Carolan, Dr. Gerry Lyne and others, this programme will present the Moore repertoire in exciting - even subversive interpretations, against a commentary which will address the controversial questions that surround Moore. 'Miracle Cure', 'City Of Chicago' and 'Primavera' (from the latest album 'Innocence'). 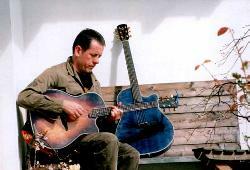 WATCH VIDEO > Luka Bloom performs songs from his albums. The Second Series of Other Voices, Songs from a Room the Music Series Celebrating New and Innovative Irish Voices to be filmed for RTÉ Television in Dingle, County Kerry..... In a region steeped in tradition and heritage that has long attracted musicians and artists from different disciplines, cutting-edge artists gathered at the most westerly point of Europe, and created an exciting and mix of modern sounds and new voices.... Presented this year by Jerry Fish, the shows will feature performances from David Kitt, Hal, Rodrigo y Gabriela, The Jimmy Cake, The Tycho Brahe, Cara Dillon, The Handsome Family, Declan O'Rourke, Paddy Casey, Bellx1, Karan Casey, Gemma Hayes, Turn, Luka Bloom, Jerry Fish and The Mudbug Club as well as a number of special guests who will be calling by St James'. Luka performs 'Thank You For Bringing Me Here' on OpenHouse today. "Don't mention it Luka, we're delighted to have you!" a song from his latest album 'Between the Mountain and the Moon'. Also featured are his nephew Conor Byrne (flute) and singer Gemma Hayes. Music documentary on the fusion of traditional Irish music and contemporary dance, rap, hip-hop and house music. "From the first day of the pre-production to the first broadcast on Irish televison, Celtic Grooves was a two year journey of filmmaking passion to find out what this new fusion of hip-hop, rap and house with traditional Irish music was all about. On this great journey we meet and interviewed the cool Davy Spillane, the groovy Luka Bloom, the righteous Marxman, the "mad for it" Scary Eire, the now legendary Howie B, the "out spoken" Sinead O'Connor, the folk guru Donal Lunny, the singer & producer Philip King and the legends of legendary music producers Denny Cordell (God rest his soul) at Island Records, London." Commissioned by the BBC this was originally released in 1990 as a five part TV series and a double CD. Bringing It All Back Home heralded the enormous upsurge in Celtic music. Re-mastered and re-edited, this nineteen-track collection features unique performance from Irish and International artists.